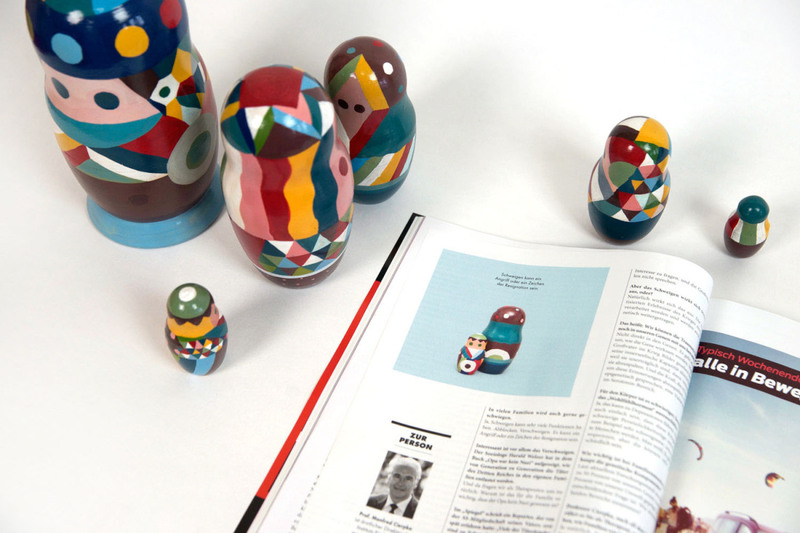 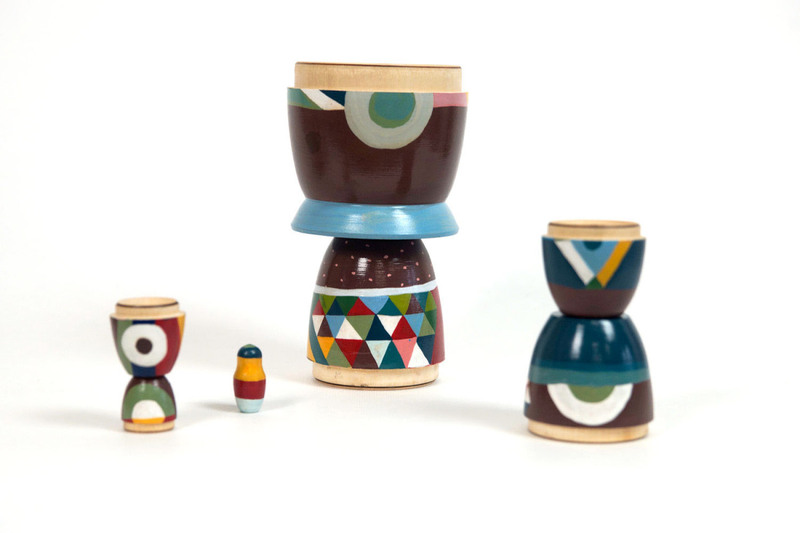 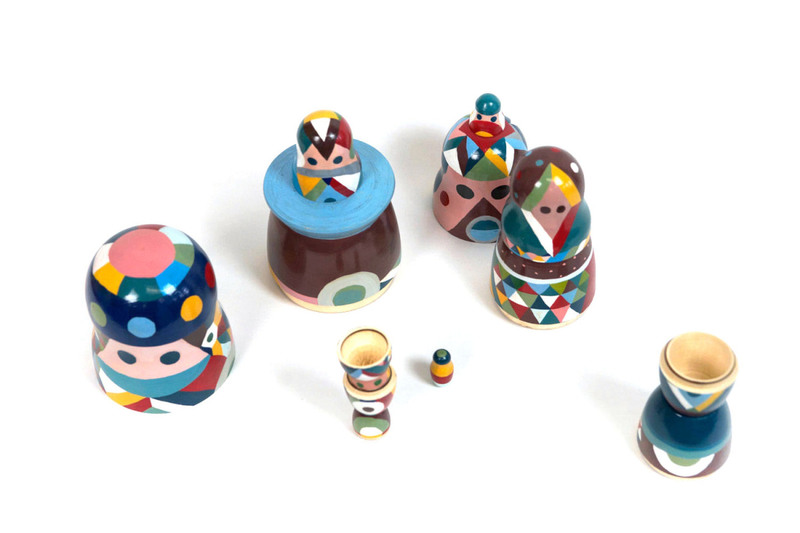 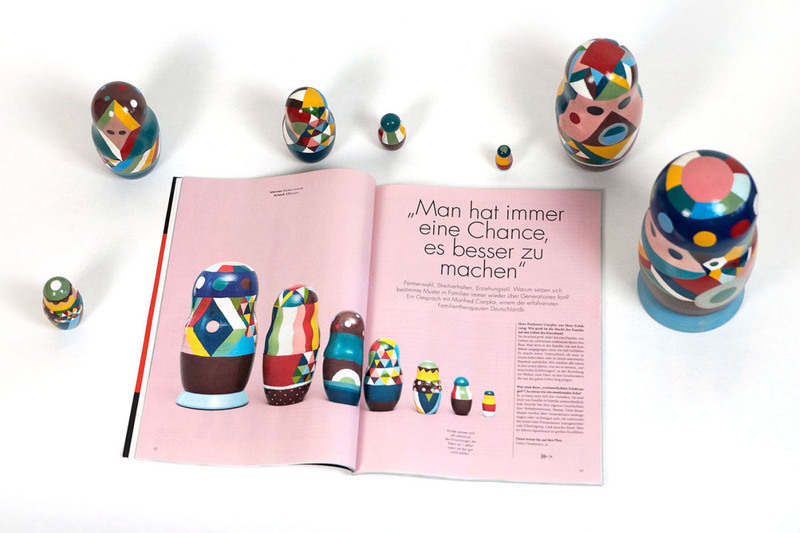 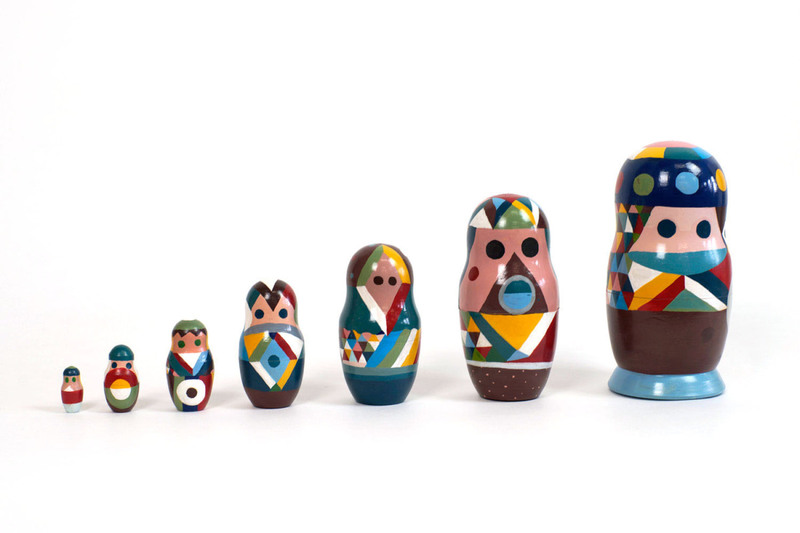 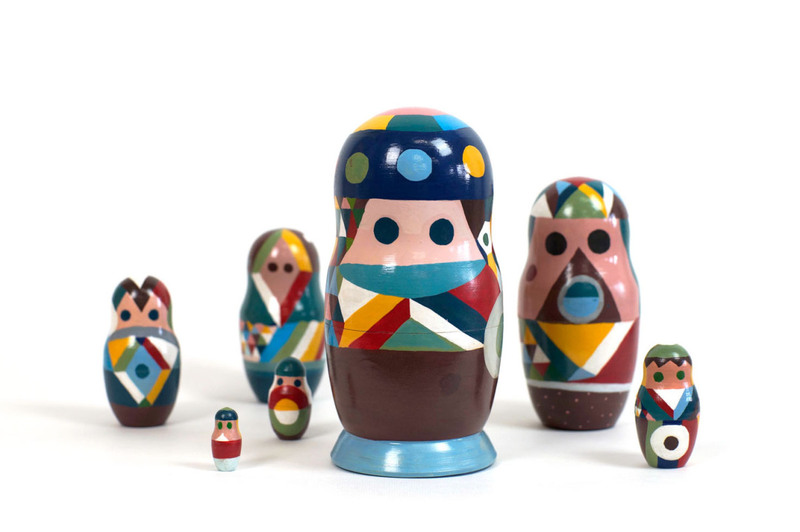 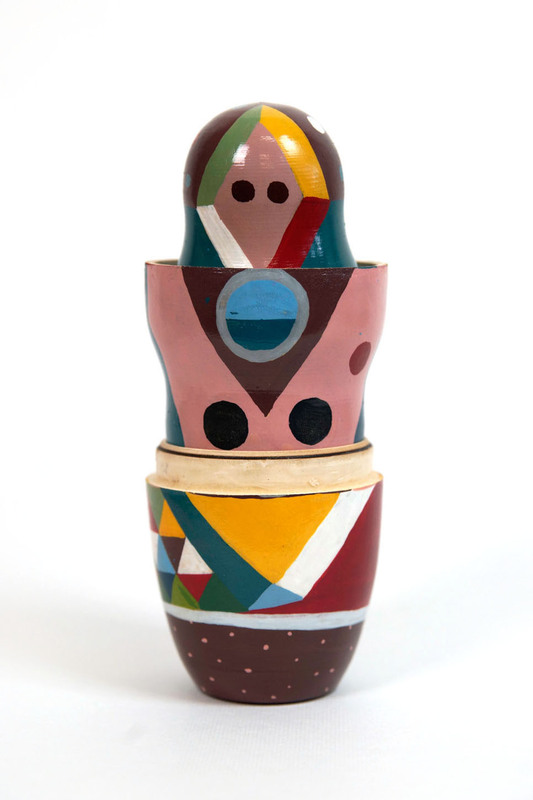 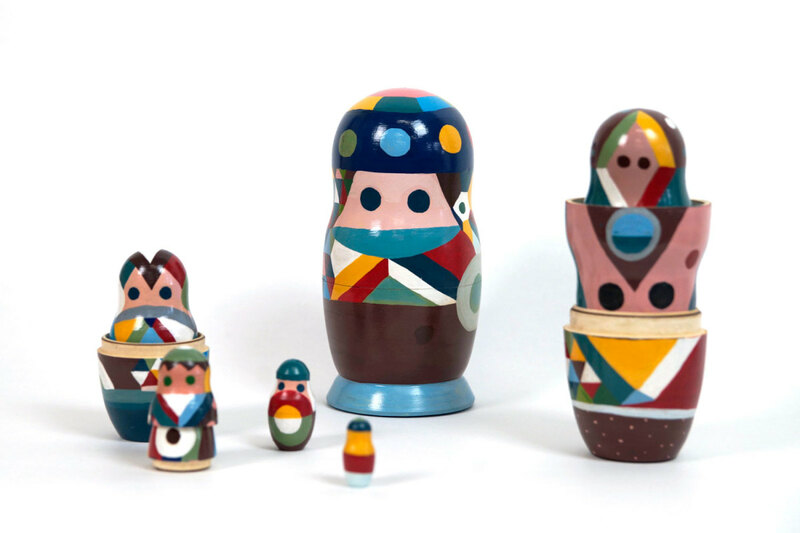 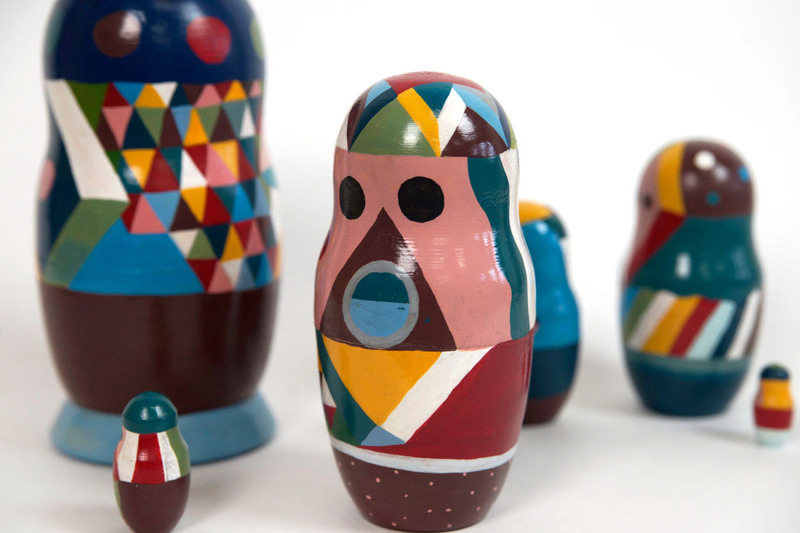 We were asked to paint a set of Matryoshka dolls for the October 2014 issue of Nido Magazine. 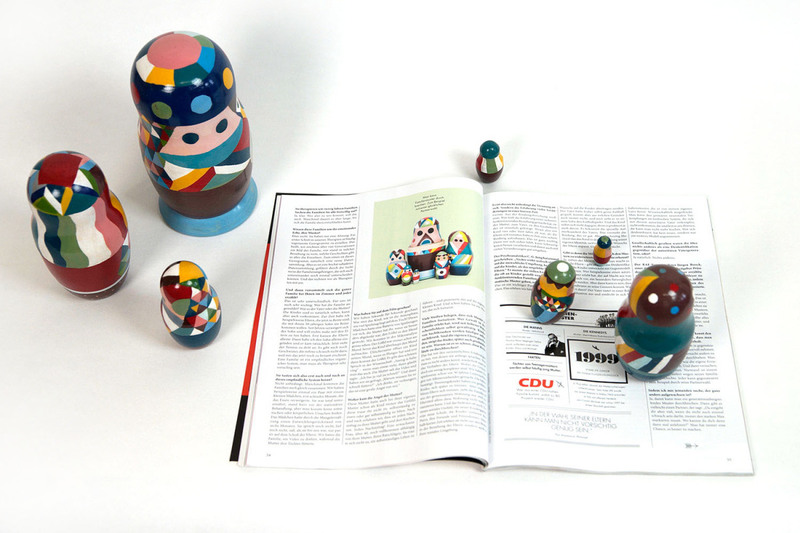 Pictures of the finished work were published in an article about different family models. 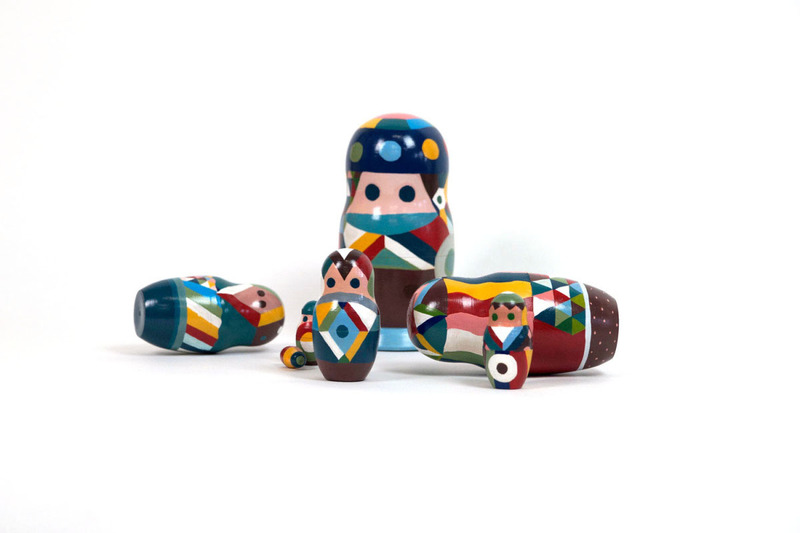 We set out to make every doll look individual, yet we aspired to emphasize the fact that each of them is still related to the rest. 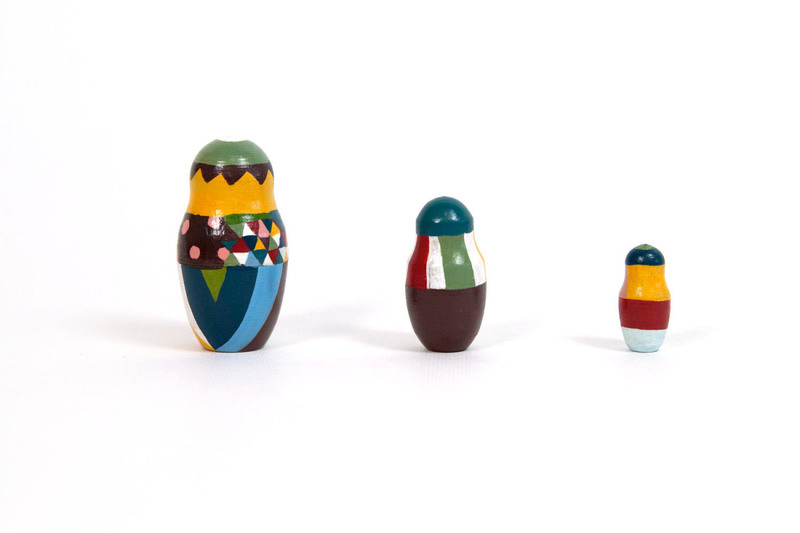 We wanted show how, over generations, physical and psychological traits may vary and evolve, but similarities will still arise despite the passage of time.